Not everyone is a planner. Not everyone, while bundled in January fleece and dodging rain puddles, can imagine ahead to balmy summer months and envision pitching tents under the stars and building bonfires for s’mores. So camping in California can be a little unforgiving for those of us who like to fly, if just a little, by the seat of our pants; who get inspired mid-week on a sunny day and want to go camping NOW. Luckily, if you forgot to book through recreation.gov or reserveamerica.com last winter, you can still find great camping – last minute – this summer. Here’s how. Unless you are very, very lucky, there is no such thing as last-minute summer camping here. The big national and state parks (like Yosemite, Big Sur, etc.) and popular campgrounds can vanish within hours after the reservation windows open (most parks open up availability for campsite reservations six months out, so if you want a spot in June, you should get online in December). However, if you absolutely must go to a national or state park, then try these tricks. Another trick for popular parks is to watch the weather. Mt. Lassen, Shasta, and the High Sierras (including Yosemite, Kings Canyon, and Sequoia) are subject to closures when the temperatures go below freezing, forcing the roads to close (most due to falling rocks, not the snow) for winter. While the parks post predictions, they could be off, which might leave vast openings for reservations late in the season when the Sierra passes would typically be closed. Visit less popular national and state parks. This option is much less stressful than the two above. Forget Yosemite. Just put it out of your mind. Make your natural spontaneity (a.k.a. lack of planning) an opportunity to explore less popular parks, such as Mt. Lassen, Calaveras Big Trees, Humboldt Redwoods, etc.). On the stretch of coast between Big Sur and Mendocino, finding camp spots is tough during summer months. The only trick here is to hit campgrounds that aren’t part of the state or national park system. There are numerous small campgrounds managed by the municipalities (reservations can be made online or by calling them directly), and you never know what special treat you’ll find. For example, venture out to Stillwater Cove Regional Park, which is a Sonoma County Park, and you can add abalone diving to your camping adventure. For the Big Sur to Monterey coastline, head to Veterans Memorial Park just east of the downtown Monterey. Most don’t know that it offers camping right in the middle of an urban area. Might not sound all that beautiful but it’s located on a 50-acre park at the top of a hill overlooking Monterey Bay. While not a preferred campground, a Friday night here can have you in striking distance of Andrew Molera or Pfeiffer Big Sur State Parks for the 8 am stalking of the walk-ins. Alternatively, head inland to the Carmel Valley. 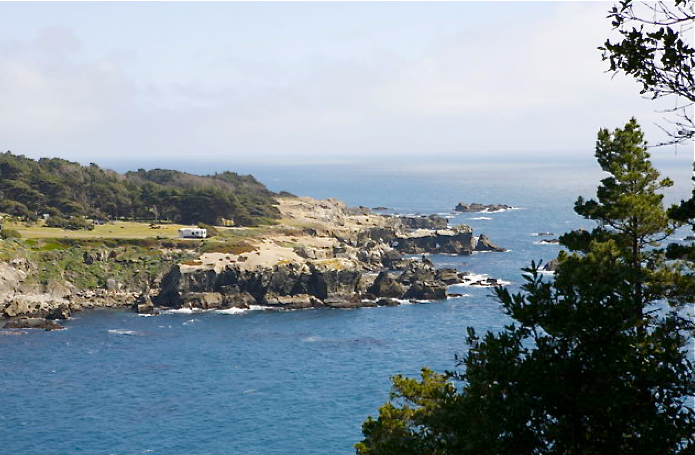 Some lovely campgrounds here just to hang out or to make day trips to the Monterey area. The ultimate secret to great camping in Northern California during the summer is the National Forest System. Grab any National Forest Map (available online or at outdoor stores like REI or Big 5 Sporting Goods) and you can be guaranteed open campgrounds with lots of availability. No reservations required. Keep the Sierra National Forest, Eldorado National Forest, and Inyo National Forest maps handy. These campgrounds, by the dozens, are typically smaller, off the main highways and offer fewer amenities but are no less beautiful than the popular parks. One perfect example is Fresno Dome in the Sierra National Forest. The campground surrounds a lovely meadow that opens the forest to a spectacular view of Fresno Dome, which is no different than North Dome in Yosemite. Only the locals from Fresno come up and the lack of a water faucet keeps this little gem from filling up. The back side of the dome offers an easy class-three hike to the top, while the front of the dome offers 500 vertical feet of face climbing and sport routes. Another favorite is Silver Fork Campground in Eldorado National Forest. You can arrive on a holiday weekend without reservations and find the campground far less than full. Situated between Route 50 and Route 88 on the way to Tahoe, the campground overlooks the Silver Fork River, a tributary of the American River. With lots of backcountry hiking in the Sierras and a wonderful swimming hole to cool off in what is not to love about true solitude? The National Forest campgrounds are monitored by fabulous campground hosts during the summer months who offer plenty of information and firewood for the all important evenings. Timing could be everything. Go midweek. Or, better yet, wait until after Labor Day. Mid-September, after school is back in session, to mid-October is often the best time: weather is still nice and you avoid the summer congestion. Think outside the state. Are you pining for the lovely Lake Tahoe? For Californians it’s easy to forget that half the lake is in Nevada, so all the typical California websites will miss the other side. Nevada State Beach has the best beach on Lake Tahoe and is one of the longest (thus, not as crowded). The best part? You can walk from the beach right into the campground nestled in tall pines. Sunset over Lake Tahoe is best in Nevada. It’s also close to South Lake Tahoe and the lovely Emerald Bay. Try fire lookouts. Talk about room with a view. I won’t say any more other than you can reserve them through Reserve America. They just aren’t listed under camping. Think off the road. Of course, the obvious characteristic of these wonderful off-road campgrounds is that they aren’t along a main highway. It takes more time to get to them, and a map sure comes in handy finding them. You don’t need a four-wheel drive to get there, but there won’t be a yellow line down the middle of the road. They also don’t offer as many amenities. And again, no access to water guarantees vacancy. But these might take just a little bit of planning. Maybe next year. All kidding aside, the National Forests are a great way to camp, and you don’t even need a campground. Just following some simple rules, like not camping within a certain distance from a road or body of water, you can pretty much camp wherever you want in National Forest lands. Stop by the ranger station on your way there, and they’ll give you the whole scoop, including any particulars for the area you’re heading into. There are also miles and miles of Natl Forest roads all through the NF areas. The maps mentioned in the article will show them. Some are easy, some require ground clearance and maybe even 4 wheel drive, but rest assured, they will get you away from it all. I hate that I am commenting… but PG&E run some first come first serve sites around CA. Also, BLM dispersal camping is AWESOME if you are ok with no fire pits, or fires. Only small hotshot stoves, etc. It’s perfect. But Reserve America (or anyone else that came along with online booking) destroyed the spontaneity of camping. No one has uttered “Let’s go camping this weekend” with any seriousness, and not in a long time. If ReserveAmerica weren’t so bad at what they do, I might accept it. But there are 1000’s of lost dollars in revenue from cancellations that could be easily filled last minute. I would love to see a site like hackertable for reservamerica (if they managed cancelled inventory properly). It would be phenomenal if you had a website that scraped all the campsites for openings, and that way you can keep an eye on something that might pop up. Someone disrupt these horrid disruptors. No, really, I mean it. I guess RA is the mob, at this point, and you have to convince them to put some money into a better inventory management / cancellation system? If this works, I am finding you and hugging you like the bear does in that pic above. Seriously… 3 years later and this is still an issue. ugh THANK YOU THANK YOU! We just scored a site at limekiln thanks to you! Thank you so very much for helping our family sneak away for a much needed escape. a nice used Travel Trailer and I’m starting to think I made a big mistake. I use this app for scoring last minute campsites (https://appsto.re/us/SspTeb), works like a charm! I thought I’d comment to comments in here. Now that RA (Reserve America) now has a captcha and some more protection on their site, I’m having a GREAT success on scoring the campsites I want in the keys. Often the greated OCEANFRONT ones!… There are many tricks that will help you getting it done, like disabling pictures and multimedia from your browser, reducing the font size so that the BOOK NOW button is always at the same place, uses of VPNs etc etc etc. Get in contact with me if you need additional tricks. This is far more easy than it was previous years (I’ve only booked in the keys, but should be good for all USA).